Pros on Call is a professional business that specializes in locksmith services for homeowners, drivers, and business owners. Because we’re highly experienced, 24-hour locksmith technicians, we’re able to provide expert advice and locksmith tips that benefit locals during a variety of situations. During the spring, rain typically impacts areas where locks are installed, so you must check the hardware thoroughly to ensure that the most delicate components aren’t rusting. Rust particles are sometimes tough to detect, and this is why you may be able to achieve the best results by using a magnifying glass. 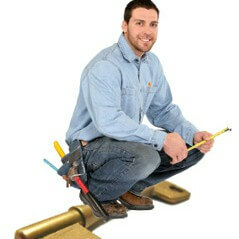 Or, you can ask one of our experts to stop by and inspect your locks. Throughout the summer, check all locks that heat up while the sun is shining, as the metal surfaces could warp because of the high temperatures. If rainstorms generate in the locations where severely damaged locks are found, the water could access the internal components, and this could lead to more serious problems. In the fall, the cold weather begins, and this is why professional maintenance services should be pursued so that all locks can be properly prepped for the harsh winter. Any severe damage that wasn’t detected in the spring and summer can be pinpointed and resolved by one of our skilled mobile locksmiths. Winter weather can be extremely harsh; as a result, special steps must be taken to protect locks that aren’t protected from the elements. For example, if you don’t have a garage for your car, you can prevent freezing around the locks by applying a lock lubricant such as WD-40 on the metal mechanisms before the temperature in your neighborhood drops dramatically. Contact Pros On Call to learn more or to request assistance. During an emergency lockout, don’t try to pick the lock with traditional tools because the jagged edges may damage the cylinder within the lock. The best way to handle a lockout is by seeking professional locksmith services. By working with us during these situations, you’ll get rapid results, as we always begin emergency locksmith jobs without any delay. A lock should be changed following any situation that involved a robbery or invasion where the lock has suffered damage and is beyond repair. Or, maybe the lock could be repaired, but you may want to consider changing your locks to upgrade to a stronger type of lock to prevent future robberies. Any time that you move into a new home or apartment, you should have your locks rekeyed. Additional situations that should result in a lock rekey include instances where your keys were stolen or a roommate moved out and you suspect they may still have a copy of the key. Both services are helpful and can strengthen security; however, each service method involves different procedures. When a lock is changed, all of the hardware is replaced so that the old key can’t be used. During rekey tasks, a lock isn’t replaced; instead, the components within the lock are modified so that old keys can’t rotate the locking cylinder and new keys are issued for the same, existing lock. When picking a locksmith, experience matters because proper skills can impact how quickly and efficiently crucial service tasks are handled. The tools that are used during a project are important as well; if a locksmith uses the latest tools for every project, reliability won’t suffer. It is also very important to make sure that your technician is licensed, bonded, and insured so that you are fully protected. Not to worry, at Pros On Call we are fully licensed and all of our technicians have 5+ years of experience. Plus, our mobile units are fully stocked. Because all locks are designed differently, a typical design can influence the level of security. In residential areas, mortise locks and other general locks can be used. However, if increased security is needed in order to protect highly valuable items, keyless hardware or another advanced security solutions can provide the best benefits. Choosing the right lock depends on many different factors, including your budget. Just ask our experts for help and you will get honest, reliable advice every time. When picking locks for business locations, always consider speed, as certain locks can decrease productivity during important projects. Keyless locks benefit employees and managers because the technology gives everyone access without using a key. You may also want to consider door closers and panic bars to ensure that your business property is up to code. How many employees need access? Do I need to restrict access to certain areas? Are there contract workers such as cleaning and maintenance crews? You can schedule a consultation and security audit with our commercial locksmith experts at any time for more information. For more locksmith tips, feel free to call our friendly technicians and customer service representatives day or night! Locksmith Tips https://prosoncall.com/about-us/locksmith-tips/ 3.6/5 based upon 8 reviews.